The gaming laptops that are currently circulating on the market have a much improved design. Not only in terms of specifications that are much more powerful, capable of displaying excellent graphics quality, but also has a design that is far more "slim" and lighter than old school laptops. Companies like Razer, Asus and even Xiaomi all have the latest generation of gaming laptops that are thin / slim and portable, and of course have a light weight. And now, one of the pioneers in the laptop industry, Dell is launching a new generation of laptops named Dell Alienware M15. And this latest Dell laptop comes with a sleek design. This is quite surprising. Because Dell through the Alienware laptop series always prides itself on focusing on endurance features, the dimensions are sturdy enough. But they seem to be trying to change the concept on Alienware M15. You need to know, Alienware M15 is the smallest laptop in the current Alienware range. 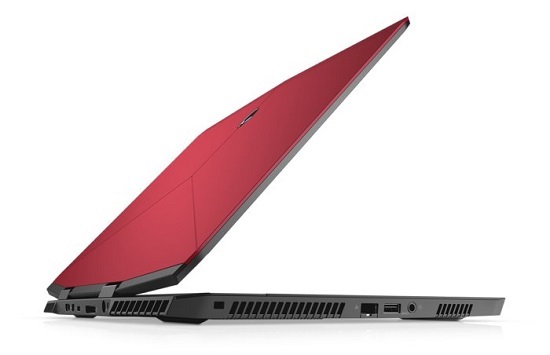 Actually when compared to competing gaming laptops, Alienware M15 is still quite a large laptop with a thickness of 20.9mm and weighs 2.1kg, but it is quite impressive when you compare Alienware M15 with Alienware 13 dimensions which have thicker weights and dimensions. 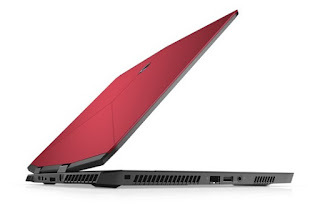 Alienware M15 is powered by an 8th Generation Intel i5-8300H processor or Intel Core i7-8750H. To support graphics quality, you get the choice of NVIDIA GeForce GTX 1060 (standard) or GeForce GTX 1070 Max-Q. If that isn't enough, you can increase it even further by plugging in the NVIDIA GeForce RTX 20 series GPU via Alienware Graphics Amplifier. For memory options, Alienware M15 supports 16GB RAM and there is enough space there for two 1TB SSDs. Alienware M15 is equipped with three USB Type A ports (5 Gbps), HDMI 2.0 port, mini Display Port 1.3, Noble Lock Port, Thunderbolt 3, charging port, Gigabit ethernet, and Alienware Amplifier port. 0 Response to "Alienware M15, Gaming Laptop and Slim"